Croatia is the new kid on the block when it comes to Mediterranean holiday destinations, but it came fully equipped and well prepared to give France and Italy a taste of competition. Located in Southeast Europe, Croatia enjoys all the beauty of the Mediterranean without the high price tags of its Western neighbours. We’ve put together a list of some of Croatia’s highlights, which we hope will inspire you to explore its allure and fascinating culture. Zagreb will make you forget all your preconceptions of how a capital city should be. Peaceful, leafy and full of oddities, this city seems a million miles away from Rome and Athens. Wide spacious boulevards lined with cafés and bars run through the city centre and convene at Ban Jelačić Square. Part of Zagreb’s charm lies with its unusual museums such as the Museum of Broken Relationships and the Museum of Naïve Art. Another bonus is the many street vendors selling both boiled and grilled corn on the cob. The price is low and the taste is sublime. Known for its beach parties and yachts that make visitors swoon, Split has a lot more to offer than just hedonism. 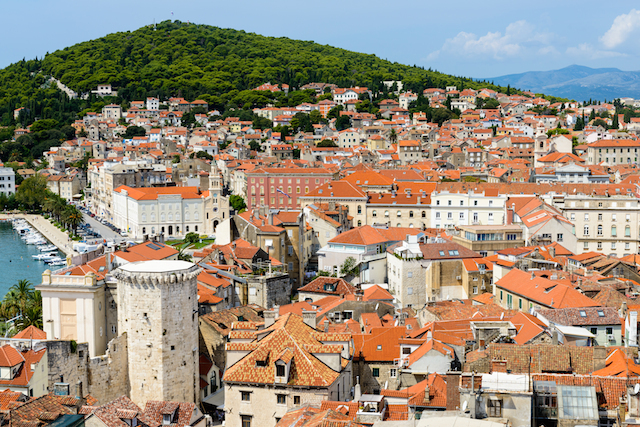 The entire city is built around Diocletian’s Palace, a huge marble fortress dating back to the 4th century AD. While away hours at a time exploring the labyrinth of tiny streets lined with chic boutiques, cafés and bars, soaking up the sun and hoping times freezes so you never have to go home. If wandering around doesn’t appeal to you, then grab a towel and top up your tan on Bacvice beach, one of Split’s only sandy beaches. One word of warning, the main strip, the Riva, stinks of rotten eggs due to the nearby sulphur mines. By all means check it out, but make sure you eat somewhere else! An easy, hour long boat ride from Split, Hvar is a gorgeous island surrounded by the chilly, but crystal clear Adriatic Sea. Like the rest of the country, the food is a combination of traditional Italian and Greek dishes, but all with a special Croatian twist. While you’re near the sea, make the most of the ludicrously cheap and plentiful seafood. Much of the architecture on the island dates back to the 16th century and even earlier so be sure to amble through the cobbled streets, camera in hand, in search of some ancient beauties. Saving the best until last, my final recommendation is the Plitvice National Park, one of the natural gems of Europe. This 300 square kilometre park was made a UNESCO world heritage site in 1979 and sees well over a million visitors per year. The whole area has been perfectly conserved, the lakes are idyllically clean and the foliage is vibrant and lush. As the trees whisper their secrets to you in the breeze and the cool water ripples around, you can forget the outside world and all the stress that goes with it. Boat rides across some of the lakes are included in the ticket price (which varies according to season) and provide an opportunity to clear your mind and absorb the surroundings. Plitvice lakes epitomise serenity and beauty and are definitely not to be missed. Croatia is seriously stunning! I have read a lot about it and I think it’s raring to go. 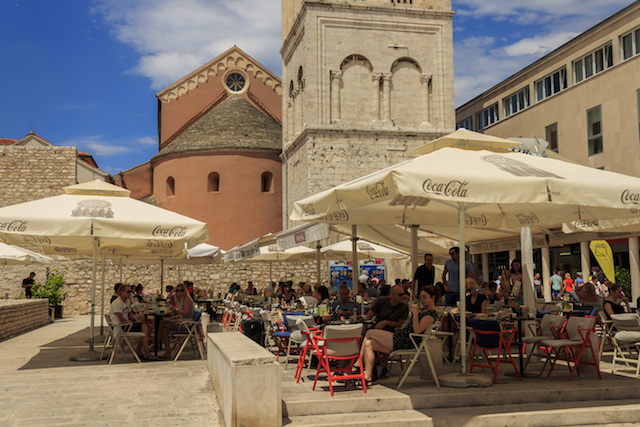 Cities like Zadar and Split sound so inviting! I have never been visited CROATIA in my life. But after getting information about this region places I will explore this region in my next] days.